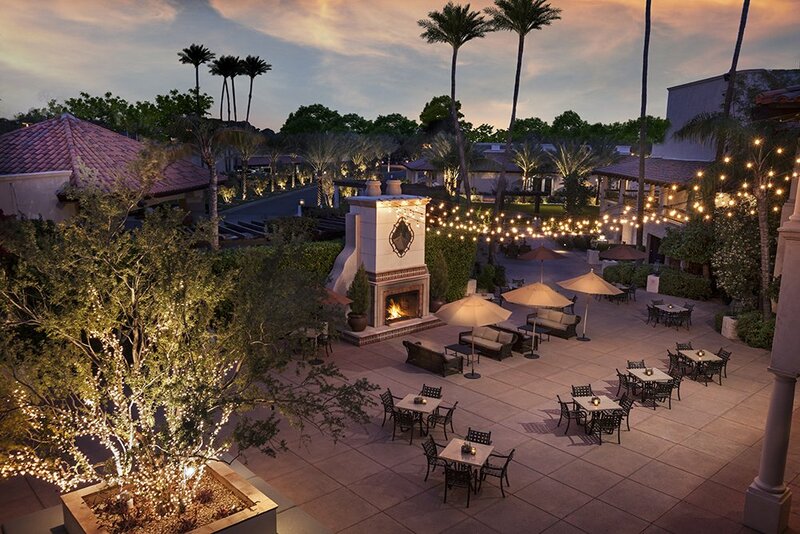 Renovation enhancements feature notable upgrades to the entry drive landscaping and event lawn features, courtyard and guest amenities, a new lobby bar, a new restaurant featuring a display kitchen as well as renovations of the guestrooms. The crowning jewel of the renovations feature a complete removal of the entire existing pool and pool patio which was replaced with a new pool and pool patio, a new outdoor pool bar with bar-height seating, bistro lighting and TV’s. The new pool features a dynamically lit pool trellis and pedestrian bridge spanning over the pool with a water feature.